The event will begin with Kenan reading from his work and will be followed by an interview by James A. Crank, author of Understanding Randall Kenan. Signing to follow. Copies of the book will be available for purchase. 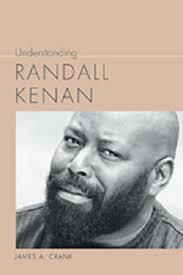 Randall Kenan is best known for his novel A Visitation of Spirits (1989) and his collection of stories Let the Dead Bury Their Dead (1992), which was a finalist for the National Book Critics Circle Award, was a nominee for a Los Angeles Times Book Prize for fiction, and named a New York Times Notable Book. Kenan is also the recipient of a , as well as the Whiting Writers Award, Sherwood Anderson Award, John Dos Passos Award, Rome Prize, and North Carolina Award for Literature.